When I want to make something I usually start drawing in SketchUp. Often the things I draw never becomes reality for different reasons, but some do. I have tried more advanced CAD programs like AutoCAD or Inventor, but i always falls back to SketchUp. It is a great tool for creating fast prototypes and testing ideas. SketchUp is special compared to other programs in the way that it only has a very limited set of tools. This makes it fast and easy to learn and work with. This also makes it hard to do some complex parts, but usualy, it is not a problem.There is also an “3D warehouse” where users can upload models. It is also possible to download other’s models into your own model. This is great when you want to add some common part to your project, like an Arduino for example. Why draw it again when others have already done it? When I make my 3D models I save all general parts i think that I will have a use for in the future in a separate file to make them easy to copy. 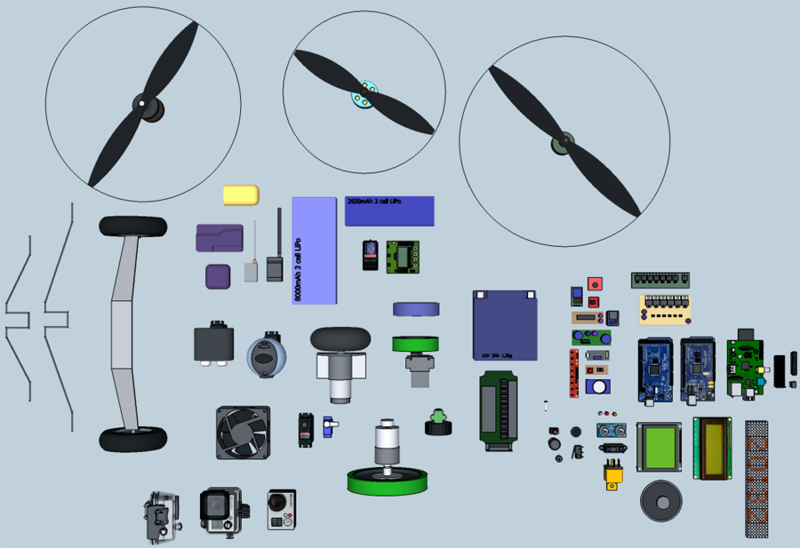 This file contains robotics parts, electronics parts, displays, motors, and some multirotor and Airplane stuff. Most of the things I have made myself but some I have downloaded from the “3D warehouse” and modified in some way. 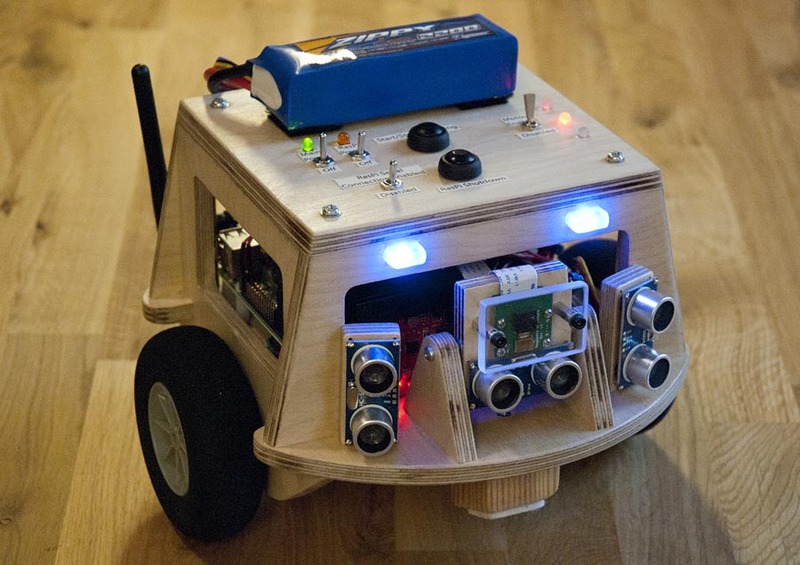 This entry was posted in CAD, Electronics, Flying Things, Robots on August 20, 2014 by Axel.